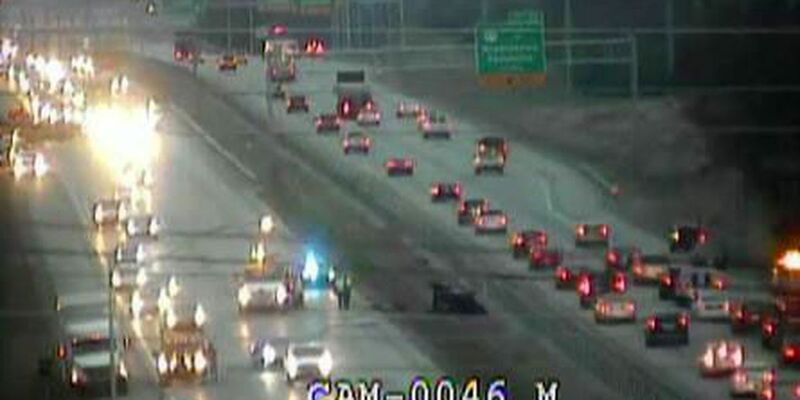 LOUISVILLE, KY (WAVE) - All lanes of Interstate 265 have reopened after a series of wrecks closed the Gene Snyder Freeway in both directions for a time in Middletown Tuesday morning. A MetroSafe dispatcher said injuries were reported after three wrecks on southbound I-265 and one wreck on northbound I-265. All of the wrecks happened over a 30 minute period beginning at 5:18 a.m. between I-64 and Shelbyville Road. The number and extent of injuries are not known. One vehicle in one of the wrecks caught on fire, but the flames have been extinguished.